I had paired this wine for tonight’s nights dinner that consisted of a deconstructed Reuben sandwich. Rubens are one of Chris’ favorite sandwiches and the corned beef was so tender and delicious that I didn’t hardly know it wasn’t on the typical marble rye bread she usually builds it on! It was served with a tangy thousand island dressing, so I did not want a heavy Cabernet Sauvignon or a white, so I chose a Merlot. Deep color depth and a garnet purple hue. Somehow I deleted my picture! This wine was slightly dry, medium body with a lively acidity level. The tannins were medium and soft. Tasting it, I had soft mid palate flavors with a silky long finish. It was very flavorful. Appellation and region: Dry Creek Valley, Sonoma County. 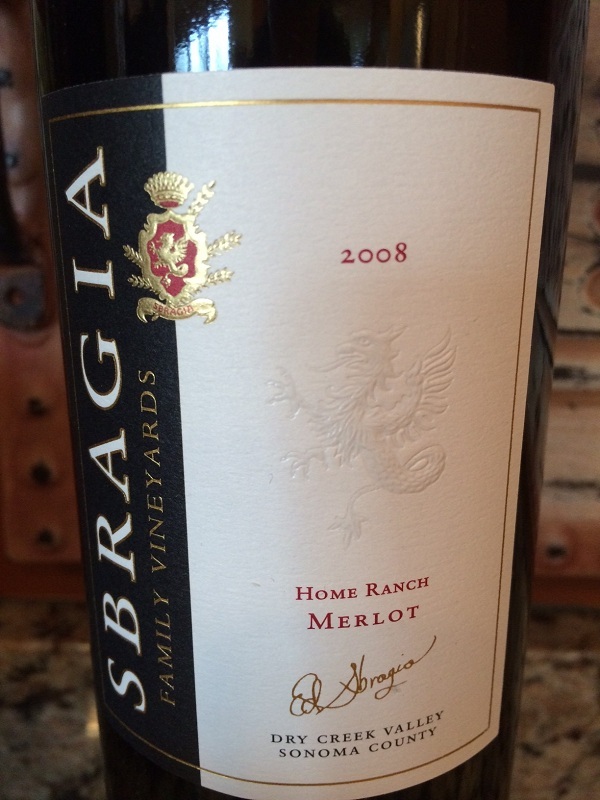 I rated the 2008 Sbragia Home Ranch Merlot three glasses. This is a very good Merlot. 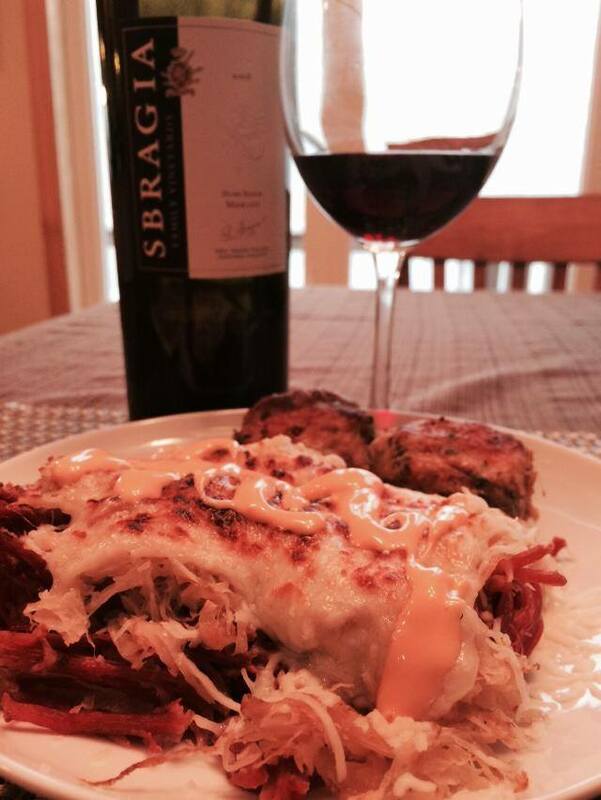 It paired very well with Chris’ deconstructed Reuben sandwich for dinner.